Manchester City made a touching gesture to two of their longest-serving supporters on Saturday afternoon. 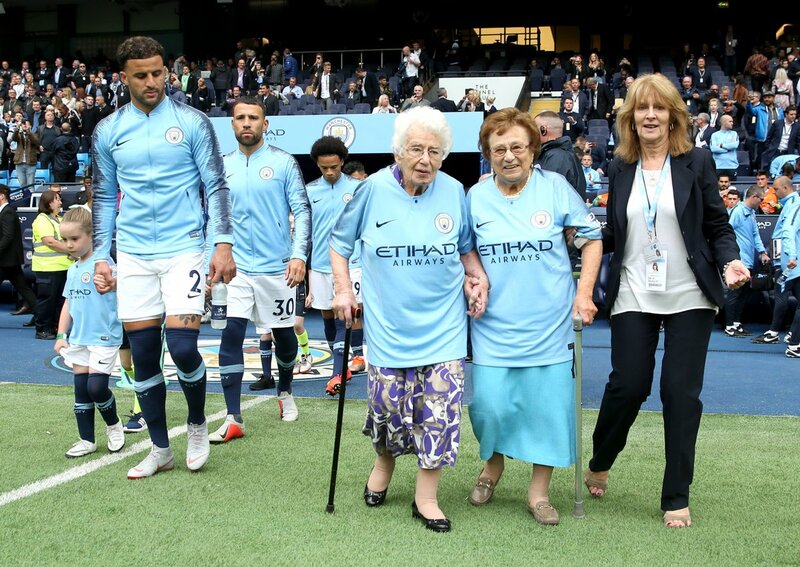 Vera Cohen, aged 102, and her sister Olga Halon, aged 97, had the honour of leading the Premier League champions out for their clash with Fulham at Etihad Stadium. The moment was the least they deserve, given their commitment to supporting the club well into their old age. Vera has been a City supporter for more than 85 years and still attends every home game with Olga, son Danny and son-in-law Roger. Things used to be very different from how they are today. They didn't have a scoreboard when I first came - a man used to come around with a blackboard with the score on it. Amazingly, Vera is not the oldest mascot used in any of the four professional English leagues in recent years. Last season, Preston North End had 105-year-old fan Bernard Jones lead them out against Sheffield Wednesday on the opening weekend of the 2017/18 Championship season.